What's new here unlike all the other websites on the internet, you might wonder. Not much is actually new, I have to disappoint you here. I am not the inventor of new theses. But, I am a curious person and have tried and tested many things. Not everything is always the right way for you, not every technology works for everyone. Thus, it must be adapted, tested and combined accordingly. On this page, I describe things that have helped not only me but many others as well. And I hope it will help you, too. The Essences of Life is about YOU and how to improve your way. The Internet is full of methods to boost your self-confidence and shape your body. But too many cooks spoil the broth. If you do not want to go through everything on your own with "trial and error", then this site can help you. With a bit of support from me and your own interest to move forward, you will find the right path for you. It's not always easy, but I guarantee you that with a little diligence, you can get everything. This means "healthy mind in a healthy body", and it's an originally Latin phrase of the Roman poet Juvenal. Although almost everyone seems to know this phrase, some forget to implement it. As the title implies, you make the best progress in training body and mind alike. At this point I would like to say a few things about this. But why MIND, I'm being challenged enough at work and I'm solving my sudoku every day? That's not the training I'm talking about. I'm talking about personal developement, mental discipline, becoming a better YOU and constantly evolving. I want to make it clear at this point: Training the mind and the soul will not become esoteric in any way here. Nothing against esotericism, but I have set myself the task of picking out the most effective aspects, without too much unnecessary stuff. It's the same with the training of the body. Only very few people actually want to become a body builder. The most just want to be lean or look athletic. This means doing only muscle mass exercises would not be profitable or productive. 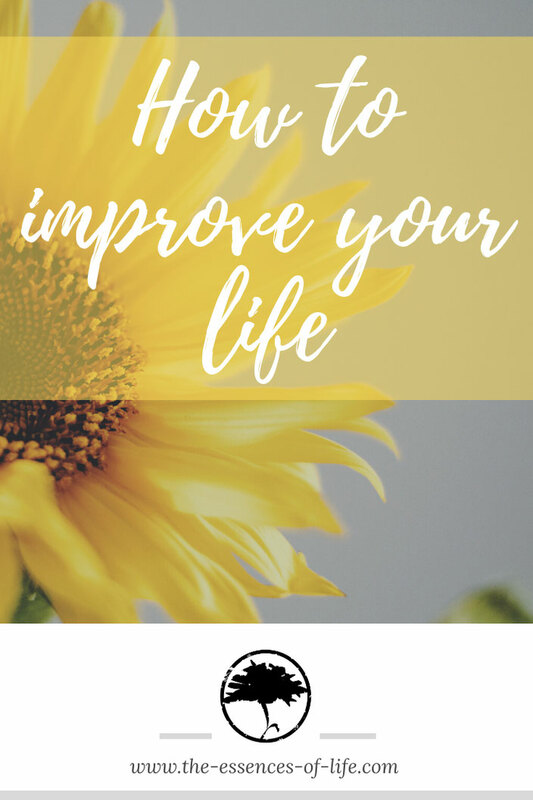 In general, I've noticed that there are many workout programs and courses that do exactly ONE thing really well, like: yoga, fitness, jogging, meditation, personality development, etc. They're all represented, and in most cases, pretty good. But what is missing? Why not combine a bit? Improving only one isn't enough. During workouts your body releases happiness hormones such as dopamine and serotonin. Not only does this train your muscles and / or stamina, it also makes you feel better. In addition, new nerve cells are created in the brain through exercise. The fact that during sport your metabolism speeds up and calories are burned, is of course a good way for losing weight. These are some handy advantages and you already know most of them. But why stop here? Sure, it's great what you can achieve by doing sports, but I think everyone's real goal is to be happy. The benefits of mental and personal development are countless. Better focus, inner peace and the most important one -> motivation. The last point is of course a balanced diet. I'm not talking about LowCarb, LowFat, HighCarb etc., but actually a balanced diet, so the body gets the nutrients it really needs. More energy, less illness prone and a better concentration are just a few of the benefits. You always wanted to be lean and tried a lot of diets. Somehow you always lacked discipline or stamina. Just a bit more sport was your goal and you managed to run twice a week. At least you have some movement now, but you're not really happier then before. Running the marathon is a distant dream that you will never really pursue. Everyday life is very stressful, you have no time for anything. How should you concentrate on something when the next task needs to be done already? Everything has to go fast, there is no time left for a quiet meal or a little sport. You are completely normal. The job is fine, your colleagues allright. From time to time you eat fruit and every now and then you meet at the football field and kick a few rounds. Everything is just going on. You are bored and not really happy. I observed these kind of behavior many times. Personally, I have just lived through this and I'm certainly still far from my goal. Cause you never stop learning! But where do you start? That's what the-essences-of-life is about. I want to help you to be your own hero. You do not have to look in a journal or magazine and look for your ideal self there. No, your ideal self will be YOU and as you always wanted to be. You will learn to accept yourself. Being aware of where you stand and where you want to go. I had to start as well. Of course it is not always easy, but it can be done by everyone. At least if you're ready to change something. In the future, more articles will appear here, which are classified in one of the 4 categories (body, health, mind&soul and success). Read, understand and implement! Pick out what you like. Everyone has weaknesses in different spots. It makes no sense to change anything about your appearance, if you do not accept yourself and think you're worth nothing. My goal is to push your self-esteem, get your metabolism moving, no matter how old you are or what gender. It's never too late, NEVER, to change and start something new. I wish you a lot of fun in a new way of life!